About 50 years ago, the Porsche 911 made its debut at the Frankfurt International Auto Show (IAA). And just ten years later, the first 911 Turbo prototype was at the IAA. 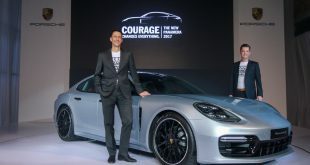 40 years after the introduction of the first 911 Turbo, Porsche is now presenting the new generation 911 Turbo and Turbo S. New all-wheel drive, active rear axle steering, adaptive aerodynamics, full-LED headlights and the up to 560 hp flat six-cylinder engine with bi-turbo charging underscore the role of the new generation 911 Turbo as a circuit racing car, everyday car and technology platform. Playing an equally crucial role are the entirely new chassis in lightweight design with a 100 mm longer wheelbase and larger 20-inch wheels. The PDCC active anti-roll system, which is being offered for the first time in 911 Turbo models, increases dynamic performance even more. This system is standard equipment in the 911 Turbo S, as is the Sport Chrono Package Plus with dynamic engine mounts and PCCB ceramic brakes; all of these features are also available as options in the 911 Turbo. 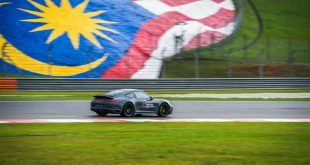 The results: The new 911 Turbo S shortens the lap time for the North Loop of the Nürburgring to well under 7:30 minutes – naturally with standard production tyres. The standard sound symposer intensifies the driving experience. The car transmits induction sounds of the turbo engine to the passenger compartment via a speaker diaphragm. 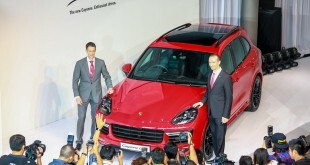 The new top of the range Porsche 911 model is scheduled to arrive in Malaysian market in Q4 2013.